Happy Easter, everyone! I can’t believe it’s Easter and also the first day of April. I live for spring, so this is the time of year where I really get excited and energized. Spring has always been my favorite time of year because it feels like a fresh start and a time for getting outside and enjoying mother nature. I notice that my mood and energy levels always change for the better come spring and it feels like anything is possible. 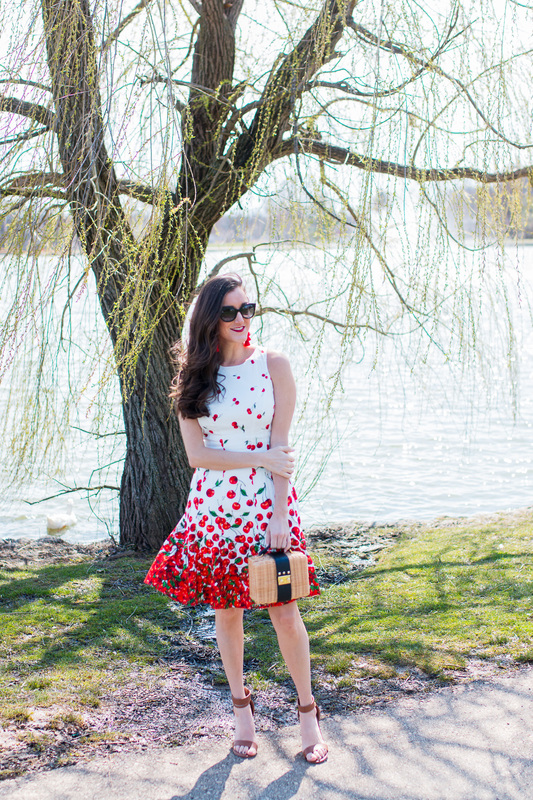 With the change in season comes a change in fashion and unsurprisingly I also love dressing for spring. 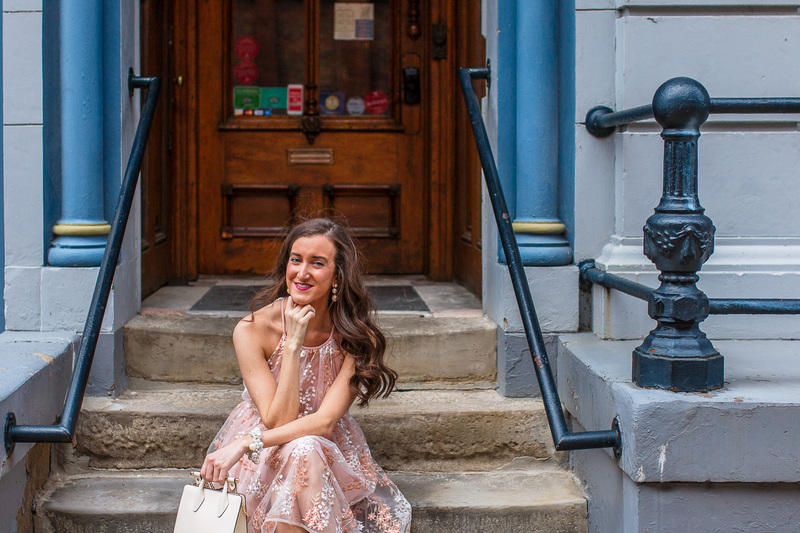 I love ditching the layers and putting on my favorite dress or colorful piece. 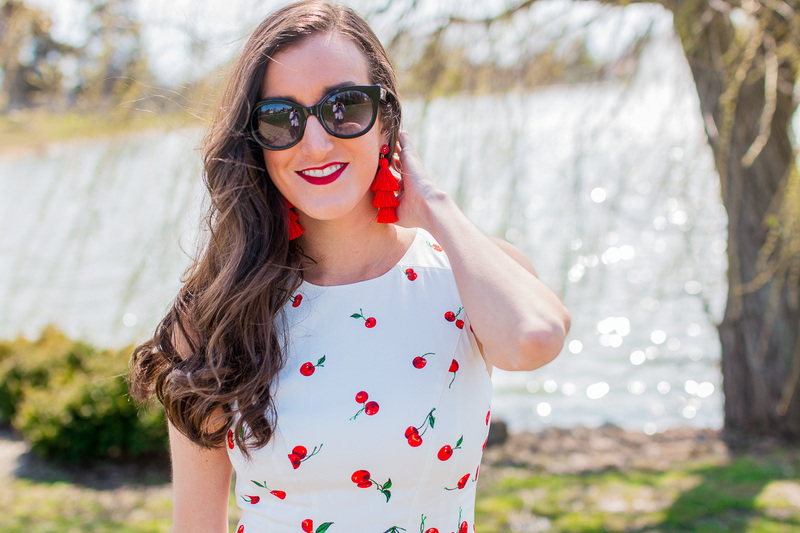 I was thrilled when Maggy London reached out about styling some of their latest spring dresses because it felt like the perfect way to kick off my favorite season. 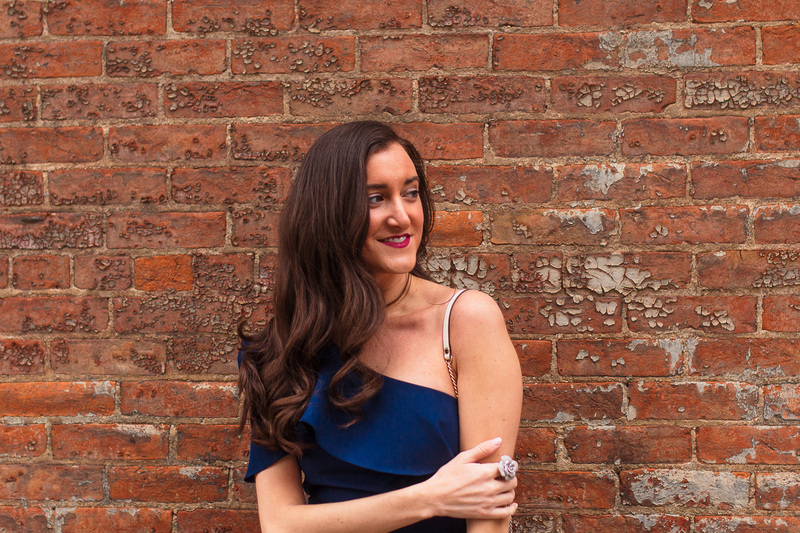 Today I’m styling four different dresses, each feminine and fun in their own way. Although it’s spring now, that doesn’t mean we’re exempt from the elements of mother nature. When we were shooting these pictures there were crazy winds the entire time. 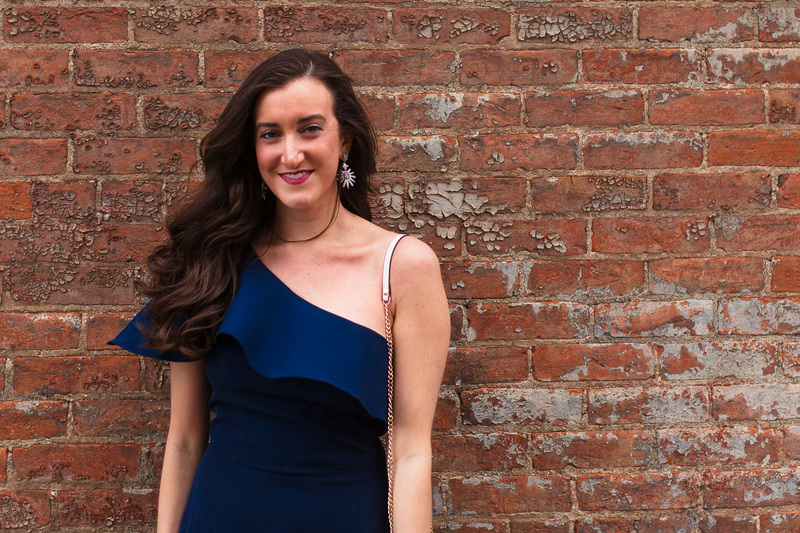 Although the wind was less than ideal (you should see some of the gems that didn’t make the cut), I realized how great some of these dresses are for having one of those pretty dress blowing in the wind moments which was exciting! 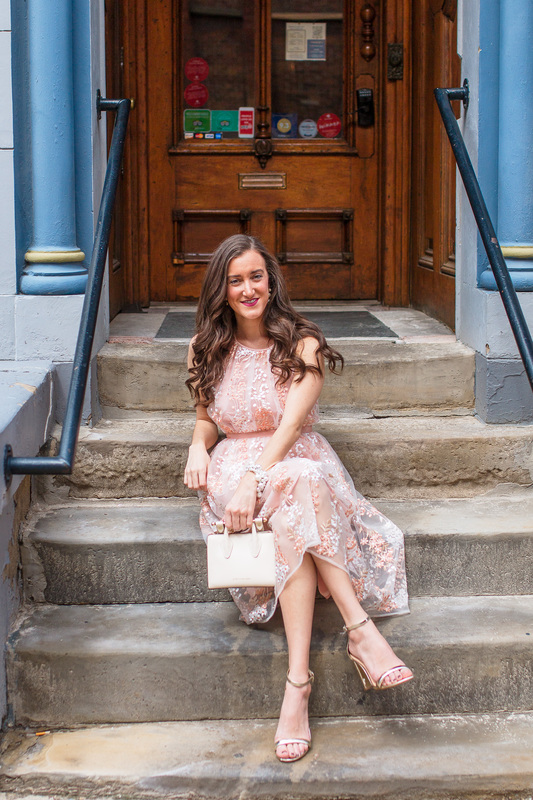 With the arrival of spring comes the start of wedding season and finding the perfect wedding guest dress can be stressful. 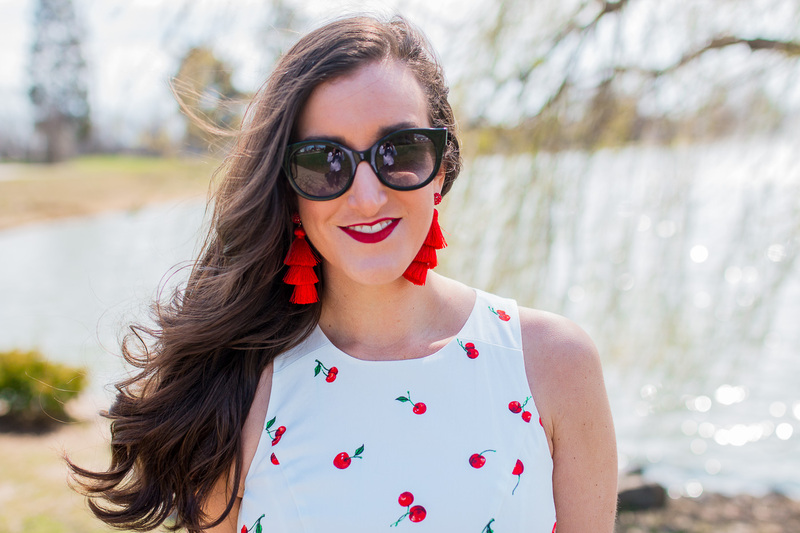 I wanted to share four totally different styles to show how endless the options are when dressing for a spring wedding. Joe and I have a wedding to attend in early May and I already know I want my look to be feminine and colorful. 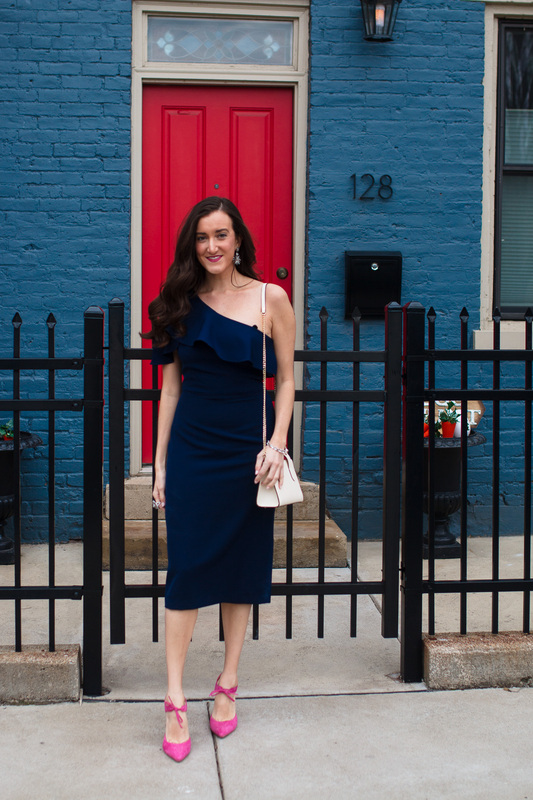 Luckily, Maggy London has quite a range of dress options, from something more sleek and structured like the navy dress I styled, or something flirty and ethereal like the pretty blush embroidered dress I’m also wearing. 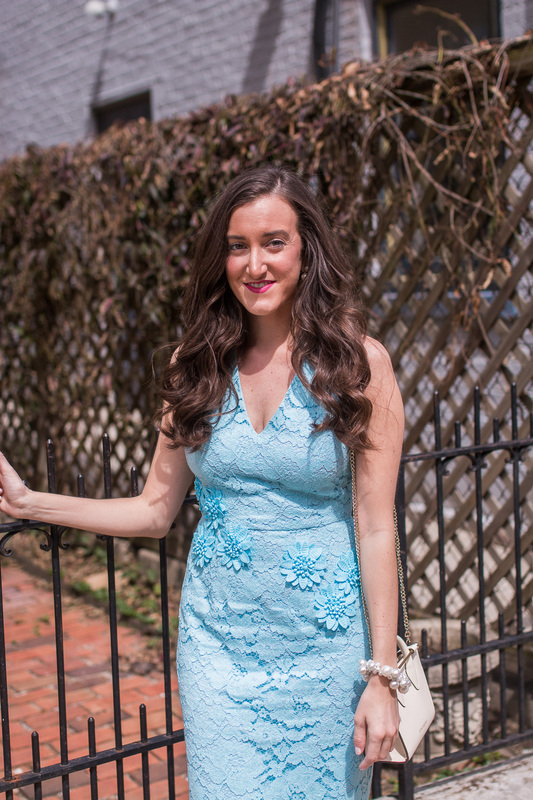 This baby blue lace dress is simple and timeless and has these cute appliques that add a nice texture to the dress. 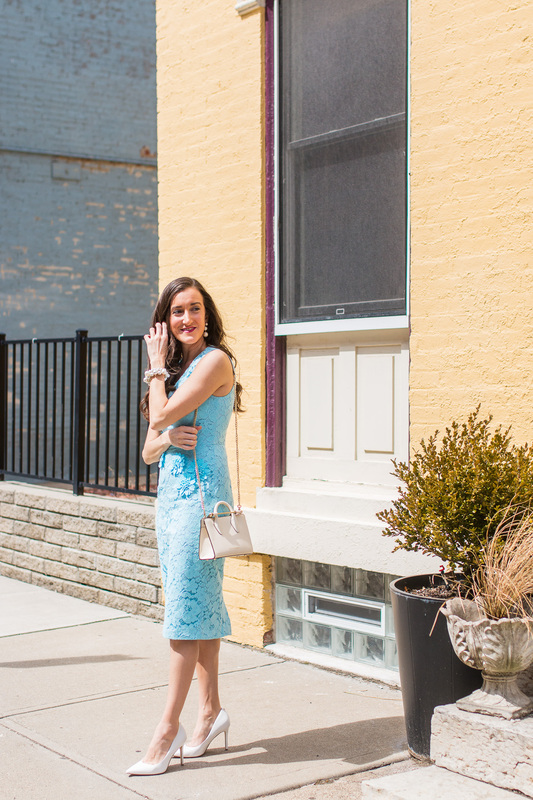 I thought this shade of blue really paired well with white accessories, so I opted for white heels and a white handbag. 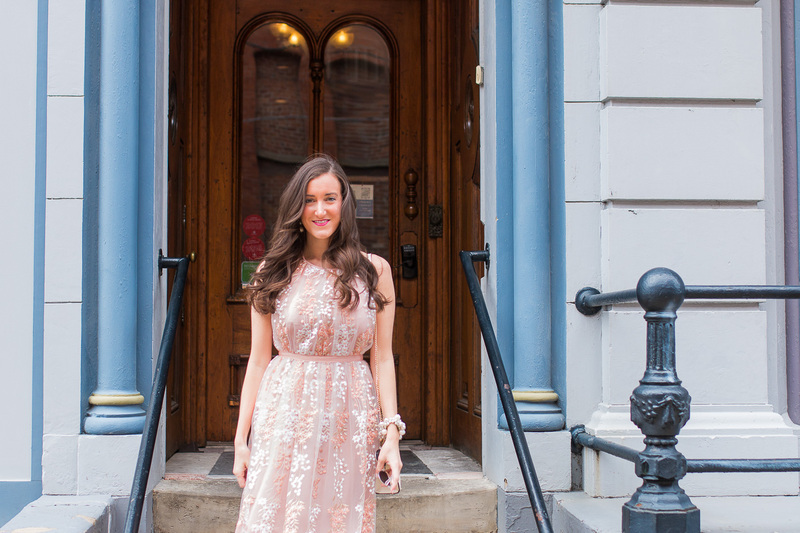 If you really want to make a statement with your look, I highly recommend this Hazel dress. It oozes glamour and has gorgeous embroidered details. I opted for a white handbag, gold strappy heels, and pearl accessories. 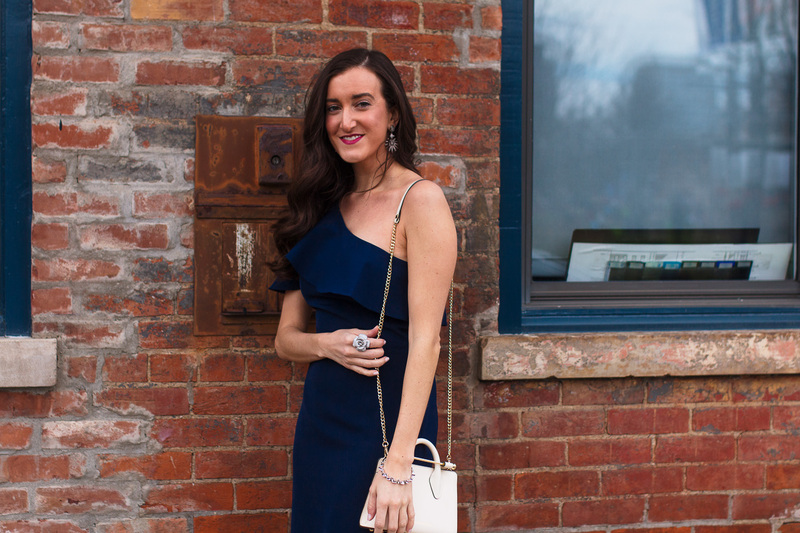 This one shoulder navy midi dress is a sleek option perfect for any spring wedding. I love how simple but elegant it is and it’s the perfect blank canvas to style it however you like. 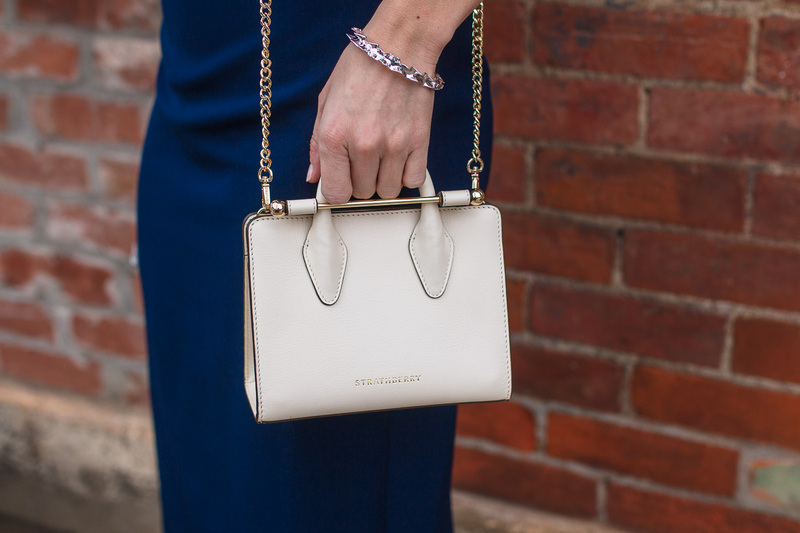 I opted for my white Strathberry bag, pink shoes and some silver jewelry! 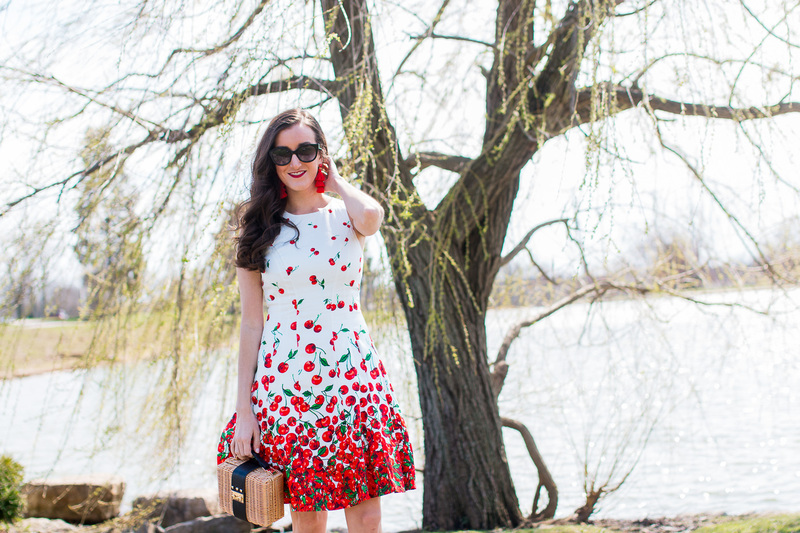 My favorite dress of the bunch has to be this cherry print Maggy London dress! 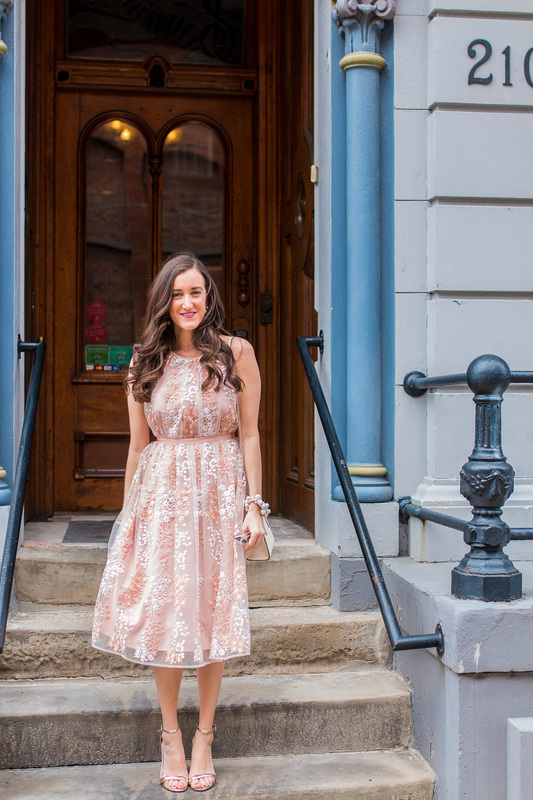 It’s so fun and has a full skirt, adding a feminine element that makes you want to constantly twirl around in it. 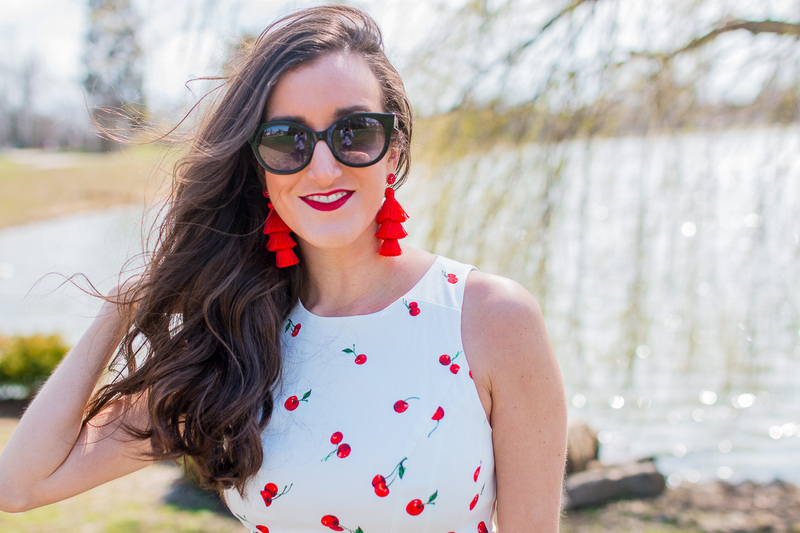 This dress screamed for a wicker handbag, and I love how my red statement earrings pulled it all together!